January 30, 2010 Music to my Ears! Beautiful piece. Soothing to listen to, not too hard to play. Difficulty: 2.5 out of 5. July 22, 2008 Loved it! This has been my favorite solo by far that I have played. I played this at a recital and got many great compliments from those in the audience, both players and watchers. June 06, 2006 Beautiful Music! 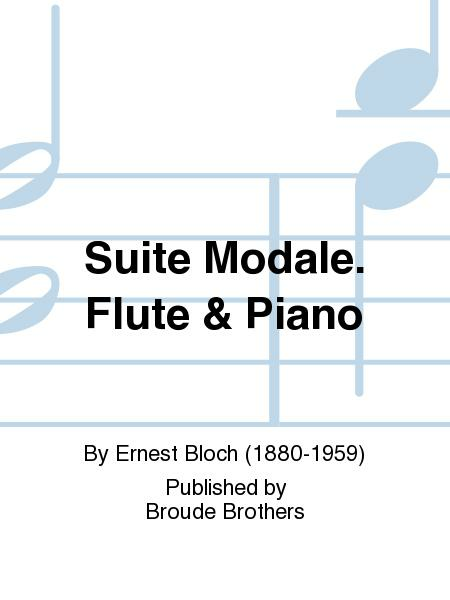 Bloch's "Suite Modale" is a gorgeous work for solo flute and piano, which is extremely melodic, has beautiful harmonies and is very "playable" although a "Grade 7" flute piece. Highly recommend it! 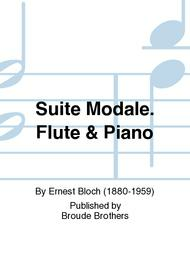 If you like Debussy, Busser, and others, you'll love this.